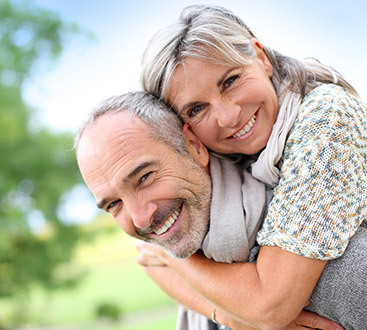 At Poudre Valley Eyecare, we live by the motto, “Our Focus is You.” For more than 25 years, Dr. Torgerson and his staff have been a part of the Fort Collins community, providing top-rated comprehensive eye care services for patients of all ages. We aren’t satisfied with simply providing routine eye care; we constantly educate ourselves, invest in new technology, and find ways to make your experience better. We’re a family-run business, which means we understand the value of relationships, trust, and comfort. Whether we’re performing a basic medical eye exam or co-managing your LASIK surgery, you are at the center of our attention, and we’ll always go the extra mile to make your life better. One thing you will notice when you visit our Fort Collins family eye care center is that we don’t split our time and energy between patient care and retail. While other private practices up and down the Front Range juggle patients and eyewear sales, we keep it simple. Why? Because you trust us to put you and your family first, and we can’t do that when we’re treating you like a retail customer instead of a patient. Our convenient location next to Eyemart allows our patients more choice and convenience and allows us to keep our focus on what matters most to us, YOU! At the end of the day, we’re a family, and we’re dedicated to caring for yours. Learn more about our eye care services and what we can do for you in Fort Collins. Finding the right eye care professional can be nerve-wracking, so choose the team you trust. Poudre Valley Eyecare provides transparency, affordability, and comfort from start to finish. We are proud members of the American Optometric Association, the Colorado Optometric Association, and the Northern Colorado Optometric Society. Dr. Michael Torgerson received his undergraduate degree from Mankato State University in Mankato, Minnesota. He went on to graduate school at Pacific University College of Optometry in Forest Grove, Oregon and received his doctor of Optometry degree in 1977. In 1999, Dr. Torgerson went on to further his education and received his certification in therapeutic pharmaceuticals for the treatment of eye diseases from Southern California College of Optometry in Fullerton California. His emphasis in his career has always been family vision care, with special attention given to children’s vision and contact lenses. 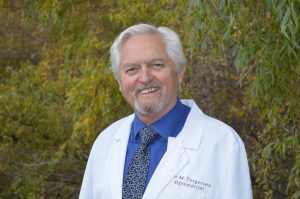 Dr. Michael Torgerson worked in several practice modalities throughout the years and founded Vision Eyeland in Fort Collins, Colorado with his wife Joy Torgerson in 1991. The vision for the practice was to provide comprehensive eye care to northern Colorado while providing an unmatched selection of eyewear options to the community. 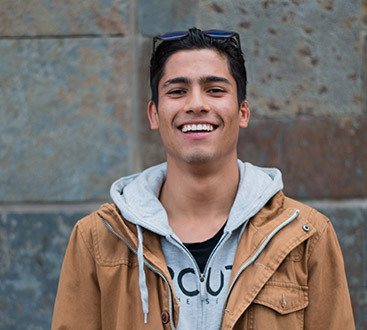 He enjoys motorcycles, traveling, and enjoying everything beautiful Colorado has to offer. 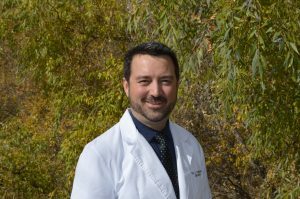 Dr. Eric Torgerson grew up in Fort Collins and completed his undergraduate studies at Colorado State University. He completed his Bachelors of Science in Biological Sciences with a minor in Anatomy and Neurobiology in 2003. He went then went on to obtain his Doctorate of Optometry at Pacific University College of Optometry and graduated with distinction in 2007. While attending optometry school he was inducted into Beta Sigma Kappa Honor Society for academic excellence and served as president of the Pacific University College of Optometry chapter from 2005-2006. His optometric training included rotations throughout the United States with an emphasis in ocular disease, vision therapy, and contact lens fitting. His optometric training also included a rotation at Landstuhl Regional Medical Center in Germany. Following graduation, Dr. Eric joined his father in practice at Vision Eyeland and has enjoyed practicing full scope optometry since then. His areas of interest include specialty contact lens fitting, ocular disease management, refractive and cataract surgery co-management, dry eye management, pediatric vision care, as well as general family eye care. He is a member of the American Optometric Association, Colorado Optometric Association, and the Northern Colorado Optometric Society. He is passionate about vision care and the value comprehensive optometric care can provide to the community. He has served several roles for the Northern Colorado Optometric Society and the Colorado Optometric Association to promote excellence in the field of optometry as well as bring awareness to the role comprehensive eye care plays in an individual’s overall health. Dr. Eric and his wife Jenny have a young son and daughter. They enjoy spending their free time outdoors biking the amazing Fort Collins bike trails and traveling whenever possible. Originally from Illinois, Dr. Nicole Ethridge attended the University of Illinois at Urbana/Champaign for her undergraduate studies before completing her optometric education at the University of Missouri-St. Louis College of Optometry. 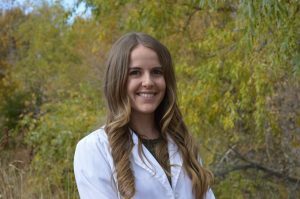 During her training, Dr. Ethridge completed internships in a variety of specialties including ocular disease, pediatrics, traumatic brain injury, and specialty contact lenses. She became heavily involved with the American Optometric Student Association (AOSA), where she served on the Board of Trustees for two years and then as the national Secretary during her third year of leadership in the organization. Dr. Ethridge has been consistently recognized for her clinical and academic performance. These distinctions include induction into the Gold Key and Beta Sigma Kappa International Honor Societies and several noteworthy scholarships. She proceeded to complete additional residency training in ocular disease at the Veterans Affairs hospital in Fayetteville, Arkansas through Northeastern State University College of Optometry. During her residency, she gained extensive experience in the treatment and management of glaucoma, retinopathy associated with systemic diseases like hypertension and diabetes, neuro-eye diseases, and fitting of specialty contact lenses. In her free time, Dr. Ethridge enjoys running and spending time outdoors with her Goldendoodle puppy Reggie. Christine Shukis, O.D., grew up in the Chicago suburbs and attended the University of Illinois Urbana-Champaign for her undergraduate degree. Leaving for a new adventure she moved to sunny Arizona to obtain her Doctorate of Optometry at the Arizona College of Optometry Midwestern University. Dr. Shukis’ passion for learning and sharing with others was explored through a National Eye Institute Research program, affiliations with the American Optometric Association, and the American Academy of Optometry. After graduation, she moved to complete a residency program in Ocular Disease at the Cincinnati Veterans Affairs Medical Center. While there she was excited to serve a wonderful population and work on her goal of making patients feel comfortable, feel understood, and understand their healthcare. 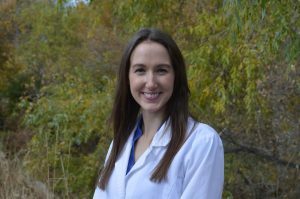 Dr. Shukis was ecstatic to make a move to Fort Collins to be with her loving husband, Tyler. She loves exploring the natural beauty on hikes and ski trips and making new friends. She will continue to be an avid traveler who enjoys hearing and sharing new food, places, and experiences.